Dr. Kaoru Ochiai, Croft Instructional Assistant Professor of Japanese, was born in Tokyo, Japan. She received her B.A. in English from Aoyama Gakuin University in Tokyo, and her M.A. and Ph.D in TESOL from The University of Mississippi. She joined the faculty of the Croft Institute and the University's Department of Modern Languages in the fall of 2002. 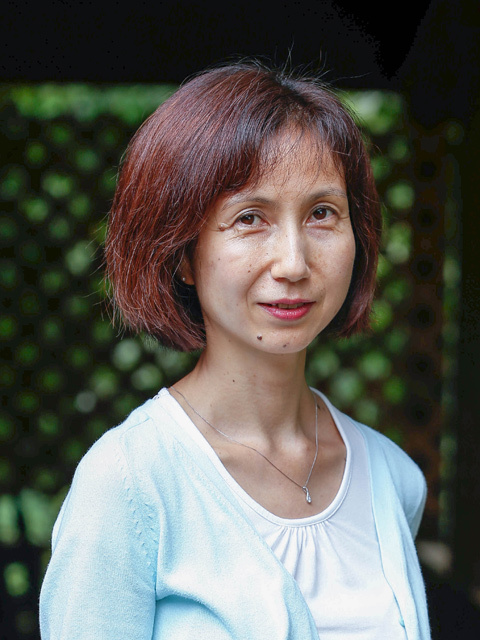 Dr. Ochiai's professional interests are second language acquisition (SLA), teaching methodologies, and comparative cultural studies of the United States and Japan. Her future research will emphasize learning styles and language teaching as well as socio-cultural aspects in language learning. These courses are designed to teach students to communicate in Japanese from the very beginning. While developing the four basic skills of the language (speaking, listening, reading, and writing), the focus of instruction is on oral interaction skills. We emphasize spoken Japanese at normal speed using culturally appropriate behaviors. No English is allowed in Japn 101. Reading and writing as well as grammar are taught in Japn 103, which also covers Japanese culture topics such as Japanese food, houses, non-verbal communication and Japanese calligraphy. These courses are aimed at further developing communication skills in Japanese. Students will continue learning active oral interaction and integrate the four skills in communication. At the end of the semester, students should be able to perform basic communicative acts: to express hope and desire, to talk about experiences, to describe ability and possibility, incorporating speech acts of basic cultural norms. Japn 203 will cover culture topics such as Japanese society, working in Japan as well as onomatopoetic expressions and borrowed words from foreign languages. This course is aimed at developing communication skills in colloquial and contemporary Japanese at an intermediate level. At this level, students should be able to talk about not only factual information but also abstract ideas, to express one's opinions with logical and reasonable supportive explanation, to understand how Japanese think, behave, and interact within socio-cultural aspects of Japanese society. The course covers both traditional and pop culture as well as different levels of Japanese language such as honorific and humble expressions which allow students to be fully functional in Japanese society. This course is designed to achieve communication skills at an advanced level. Students should be able to communicate culture and socio-cultural aspects that are necessary to communicate effectively and smoothly in social interactions. At the end of this course, students should be able to discuss topics related to particular interests and special fields, support opinions, and hypothesize with the skill of utilizing communicative strategies such as paraphrasing. At this level, students should be able to read Japanese news articles, summarize the content, raise and analyze the issues, provide one%u2019s opinions about the topic, and discuss with peers.